1. Can you tell me a little about your organization and what it does? How and when did you get started? 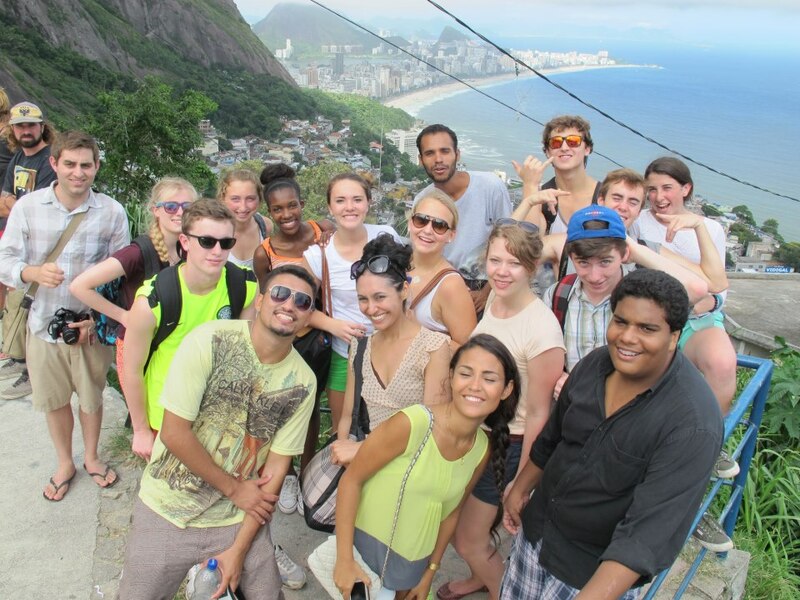 Catalytic Communities (CatComm) is a network-based NGO in support of Rio de Janeiro’s favela communities. 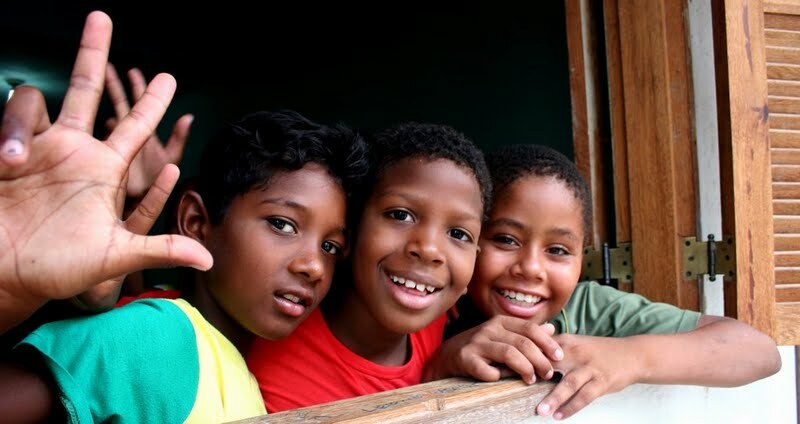 We apply an asset-based community development approach to build on the diverse and powerful strengths of favela communities in supporting their continued development through self-directed approaches, including community planning, grassroots organizing and cultural production. We also work to foster a more productive debate on what sorts of policies can support these neighborhoods–policies also built on an understanding of their value and values. We started in 2000. CatComm was the product of my doctoral thesis at the University of Pennsylvania in the City and Regional Planning department. Simply put, I had the idea to create this organization to recognize and support local solutions coming out of favelas, and my advisor liked it, and encouraged me to start the organization and ‘write my dissertation about it,’ which I did. It was an incredible opportunity, and opened the path to developing this vision further, with thousands of collaborators, over seventeen years now. In the past six years, CatComm has become well-known in media, international development, activist and urban planning circles for RioOnWatch, our English and Portuguese media platform created in the lead up to the 2016 Rio Olympics. 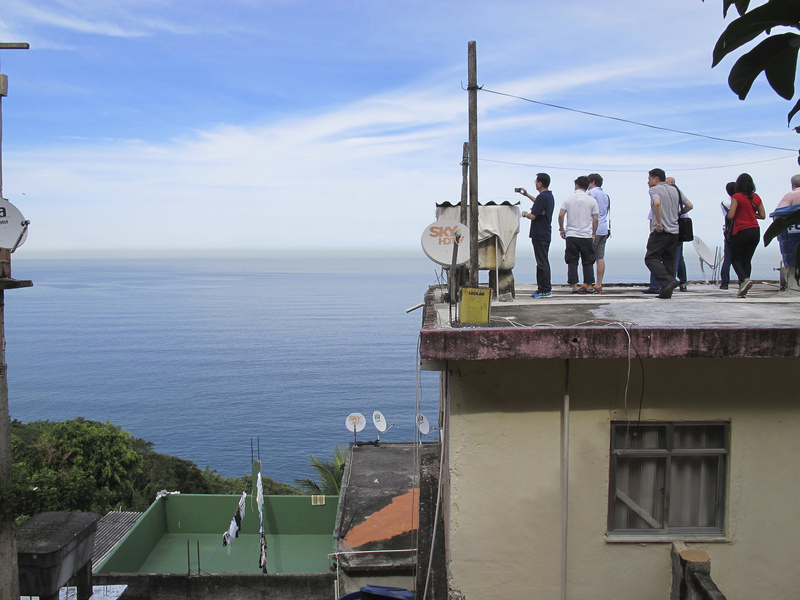 Short for Rio Olympic Neighborhood Watch, RioOnWatch offered people around the world an opportunity to follow the impacts of the preparations for the Rio Olympics on the lives of specific favela communities and residents. 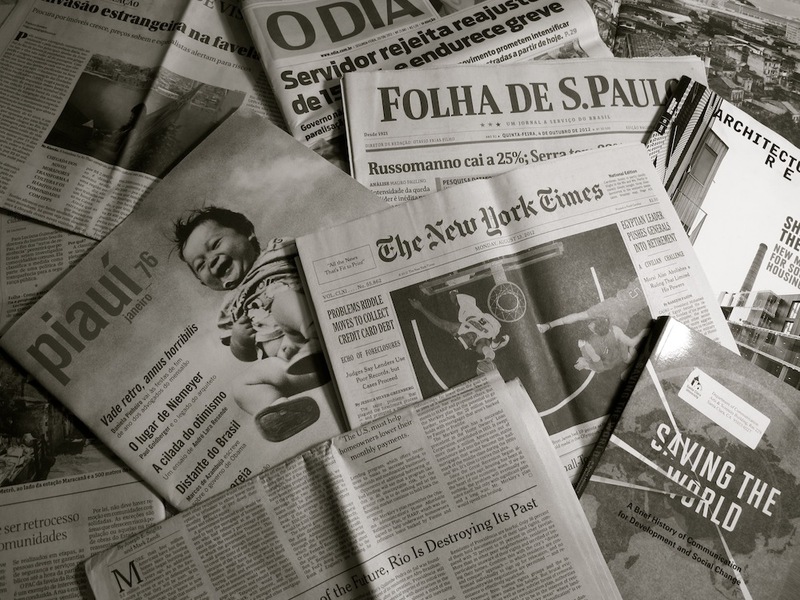 It’s been very successful as a hyperlocal-to-global news platform, and was our main resource in reaching out to–and influencing–the global media portrayal of favelas during those years. 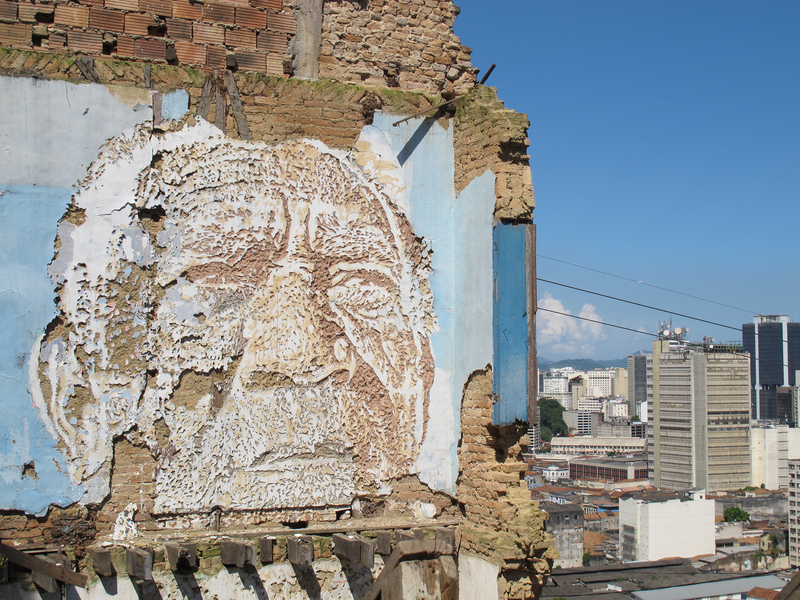 The narrative on favelas has been slowly shifting thanks to this work. 2. In your words, what is a favela? Can you give me an idea of how Brazilians view these communities and how the rest of the world might? What would be the ideal solution or situation you would like to achieve? 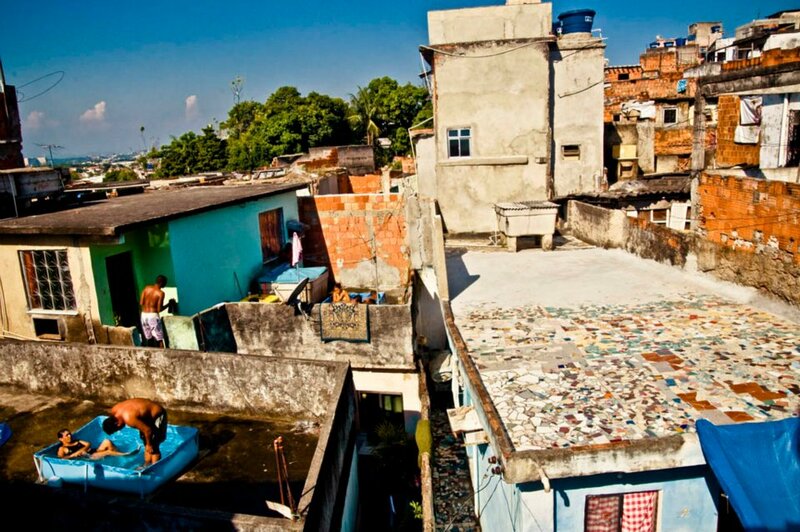 A favela is a community originally settled out of a need for shelter where no other options were available. That is, there were no market or public sector provisions for affordable housing, nor was land made available, nor were there controls on rent, etc., and so people simply took idle land and occupied it. Remember, shelter is a basic need, like water and air. But the first community known as a ‘favela’ in Rio is turning 120 this year, it’s called Morro do Providência. And as you can imagine, over 120 years residents invest a lot in their homes and communities. So today, Rio’s favelas are generally consolidated, permanent communities, with squatter’s rights, where homes are built out of solid materials (brick, concrete, reinforced steel), have indoor plumbing, electricity, cable TV, etc. They are unfinished, growing in an iterative fashion based on what resources a given family has at the moment and with a focus on what’s most important to the residents. And they were built without outside regulation, so they are absolutely unique, and constantly changing. Finally, residents have established a robust community fabric, based on strong ties and often depending on solidarity among neighbors. Since the government and private sector in effect didn’t address the issue of affordable housing for these 120 years, we now have about 1000 favelas across Rio de Janeiro, with some 1.5 million people living in them (about 24% of the city’s population). 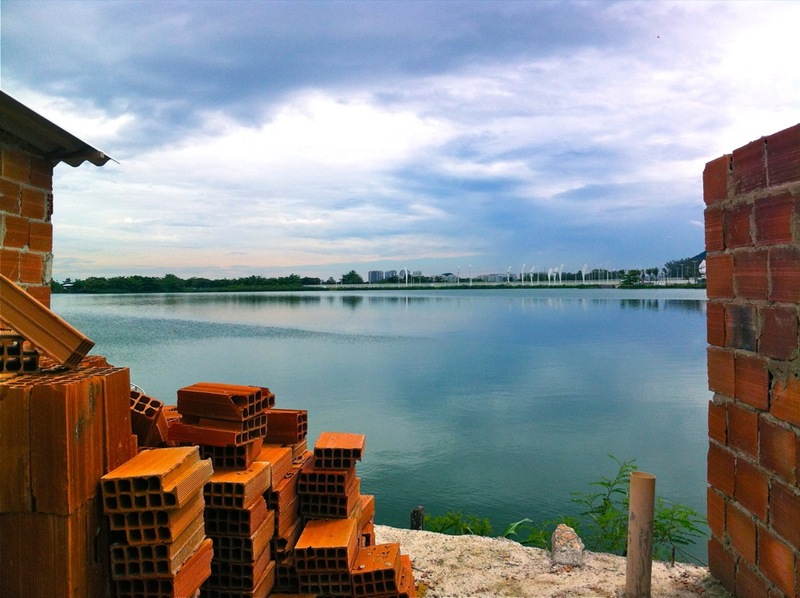 They are first and foremost important as our primary affordable housing option. But they are also huge factories of innovation, entrepreneurship, culture, creativity. Every bit of culture you may associate with Rio was either invented or strengthened in the city’s favelas. Now this view is not held by people who haven’t visited favelas, which unfortunately includes the average middle or upper class Brazilian, and obviously foreigners. Unfortunately their views have been heavily influenced by a sort of collective conditioning, over generations. This conditioning started in the Rio de Janeiro of the late 1800s when abolition had recently taken place and the first favelas appeared, where the authorities labeled favelas as backward places, aberrations, etc. That image was perpetuated by the mainstream Brazilian media, and has been used as justification for underinvestment ever since, and was also picked up on by the international media and eventually made its way into popular movies, video games, and beyond. In the past decades it is the use of some favelas by criminal groups that’s dominated the public image of them–producing an idea that favelas are inherently violent. Which is actually unfounded. Some 35% of favelas have drug trafficking in them, but this is because they have become easy targets due to government neglect and criminalization of the urban poor. 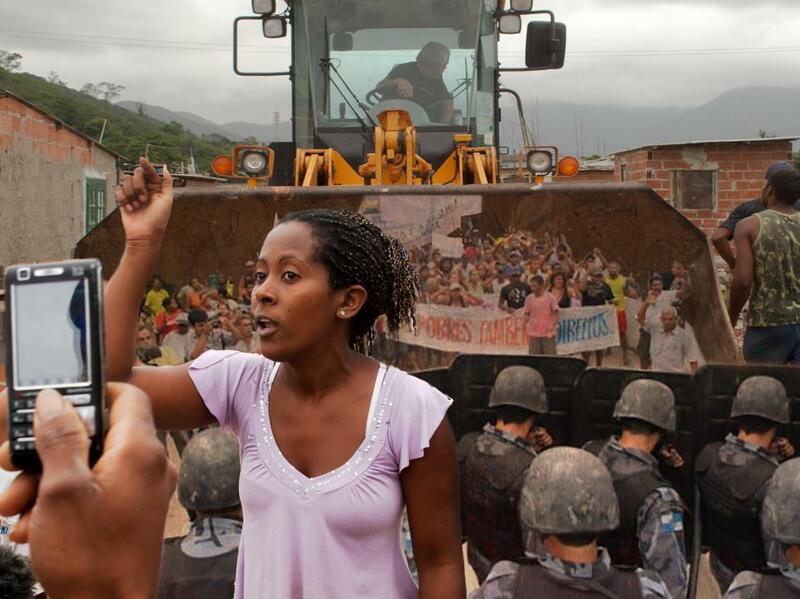 Not because there is anything inherent to the favelas themselves that produces this violence. The average favela resident is simply working hard to improve their lives under the conditions they find themselves in, like any of us. Neighborhoods that emerge from an unmet need for housing. Established and developed with no outside or governmental regulation. Established and developed by individual residents (no centralized or outside ‘developers’). Continuously evolving based on culture and access to resources, jobs, knowledge, and the city. 3. What frustrations do you run into on a government scale? My biggest frustrations are with the government and with the conditioned worldview that we are working against, which is naturally expressed in those that are in power. As I see it we have two options. We can either see favelas as these horrible places that should never have existed, which will only result in frustration over not being able to ‘solve the favela problem’ and which will lead to violent policies of eviction and police repression, attempts at ‘development’ which will lead to widespread gentrification, and a massive squandering of all the value these communities have created. Or we can see favelas as they truly are–the reality of the present moment, and the reality of the world going forward–with so much to build on in terms of urban assets and so much to teach us about keeping our cities vibrant, spontaneous and creative. In fact, the UN predicts one in three people will live in urban informal settlements by 2050 (this is where human population growth will happen in our lifetimes) so we don’t have any other option. And if we are open to seeing them through the lens of the assets they offer, we have the opportunity to come up with much more creative solutions, not ‘to the favela problem’ but to the neglect they have historically faced and how to now integrate them into the urban fabric, without losing their assets. 4. Your organization aims to destigmatize and empower favelas- can you give us some examples on how you have aimed to do this? Do the difficulties you run into usually have to do with the public sector? What are some triumphs or achievements you can share? 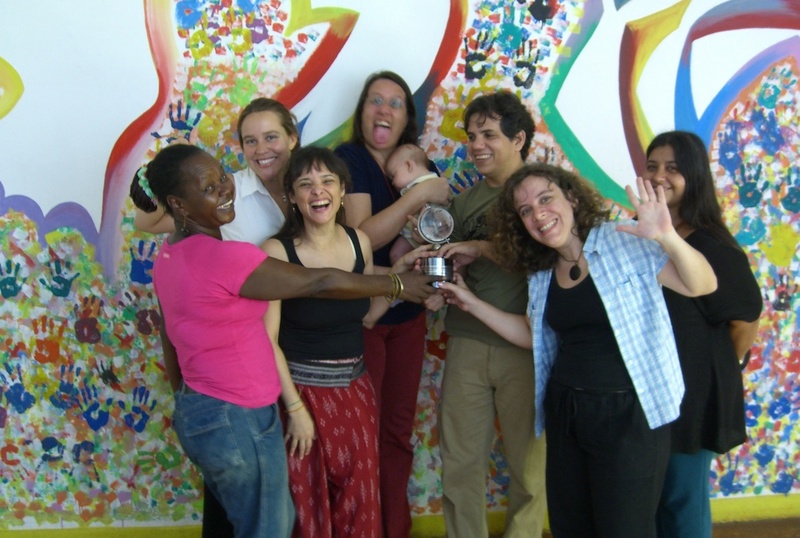 For our first nine years, CatComm was quietly working in support of hundreds of community organizers and organizations in Rio’s favelas, providing Internet access and meeting space, facilitating exchanges and peer-to-peer trainings, and documenting their solutions online. During those years, the government was not investing much in favelas, supposedly due to lack of resources, and residents were working, as always, to look after themselves. 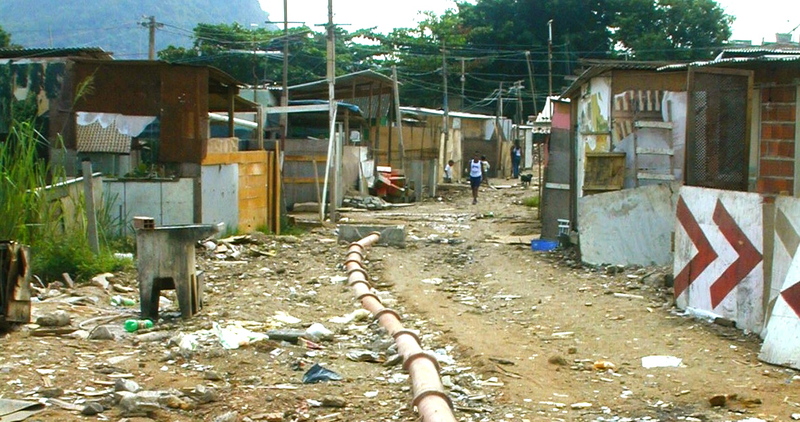 Around the time of the Olympics decision in 2009, a number of policies–from the local, state, and federal levels–were announced towards favelas. Rio’s favelas, over the subsequent years, would be getting many millions of dollars in development funding. This would be in the form of the state’s community policing program (the UPPs), the federal Growth Acceleration Program (PAC), and the city government’s Morar Carioca program to bring all favela communities in Rio up to standard by 2020. The communities we worked with were thrilled. But we immediately began hearing reports that the same city government that declared it would invest in infrastructure “to upgrade all favelas” was, across the city, in lesser-known communities, forcefully evicting long-time residents, without concern for local legal protections or basic decency. We began covering these human rights abuses immediately, on RioOnWatch, which started as an informal blog in 2010. 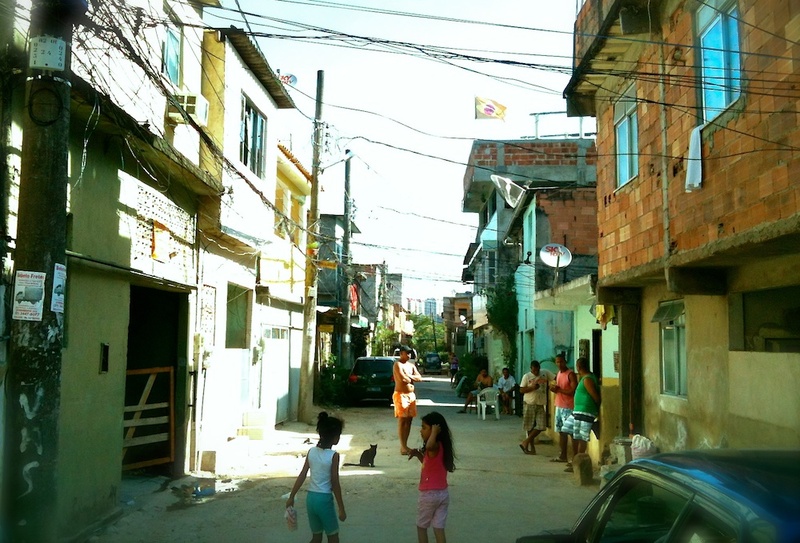 And it was then that we realized that nothing we wanted to see done–the development of favelas based on recognizing and strengthening their existing attributes, or policies that engage residents who have self-built entire communities in determining what is most needed for them going forward–would happen. Not without first addressing the severe misunderstanding of these communities and their role in Rio and potential lessons for the world. 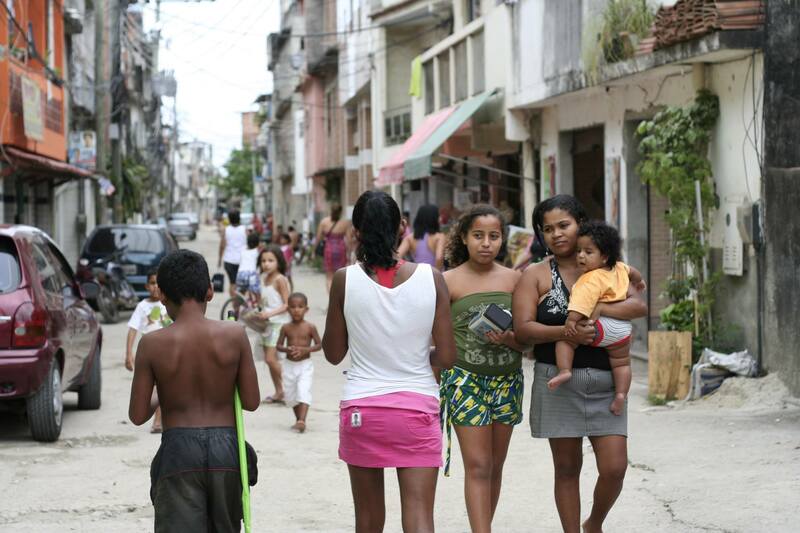 This is why we began deliberately working to destigmatize favelas. Because we realized that the widespread stigma had been built historically through the perspective–and in the interest–of certain groups, and was now being used as a tool to impose top-down, counterproductive policies. In other words, no productive policy towards favelas is possible when the primary lens through which they are seen is stigmatizing and unsound. We must tackle that first. So we set out to do this. We witnessed the growing international media presence in Rio, beginning with numerous freelancers moving to the city in 2010, followed by international outlets opening offices here, sending their top international correspondents, and others simply creating a relationship with the city by sending regular crews. Rio hosted major international events every year between 2010 and 2016, and these outlets wanted to be around to cover them. We saw this as a huge one-of-a-kind opportunity to take on the massive global negative reputation of Rio’s favelas. Perhaps due to their age, or because of their being located in the visually rich city that is Rio de Janeiro, or because they are so captivating, Rio’s favelas are arguably the most stigmatized urban communities in the world today. Wherever you are on the planet, you’re likely to meet people who’ve heard of them, and who think of them negatively. So the Olympic spotlight, and the huge number and high-quality nature of the international journalists moving here offered a tremendous opportunity in this sense. This was strategic because both these journalists would be sticking around, thus able to get a deeper understanding of the incredibly complex city and its favelas’ place in it, and there had perhaps never been a city government more concerned with its international image than Rio during those years. So there was a real potential for a boomerang effect–get the message out globally, and the city government might just pay attention. Unfortunately, it felt like the only way to get the authorities to listen to favela residents is to project their voices internationally. So this is what we set out to do. 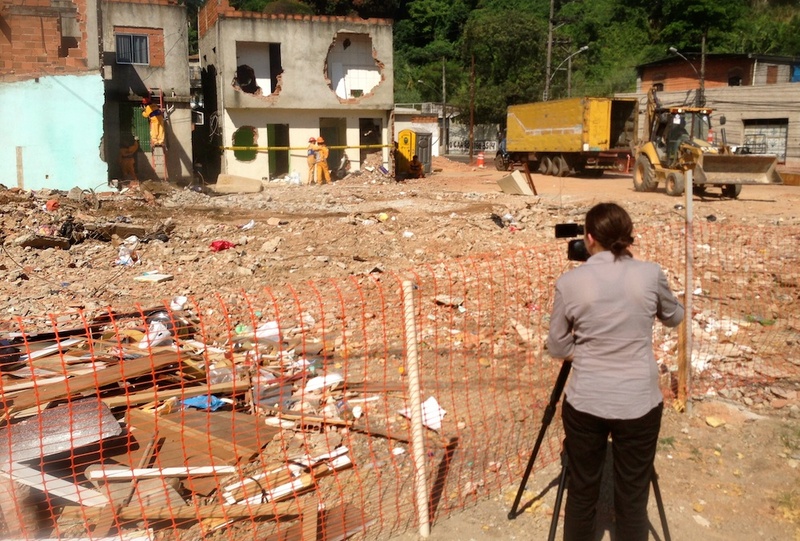 And over those six years, we developed working relationships with over 600 international journalists from dozens of countries, supporting their favela-related research and reporting, introducing them to community contacts, and providing story ideas, leads, and quotes. Just in August 2016, during the Olympics, out of about 250 articles mentioning favelas in the global press, we directly supported about 60 of them. A particular video we supported from Vox really shows the power the media can play if they choose to tell the story right. 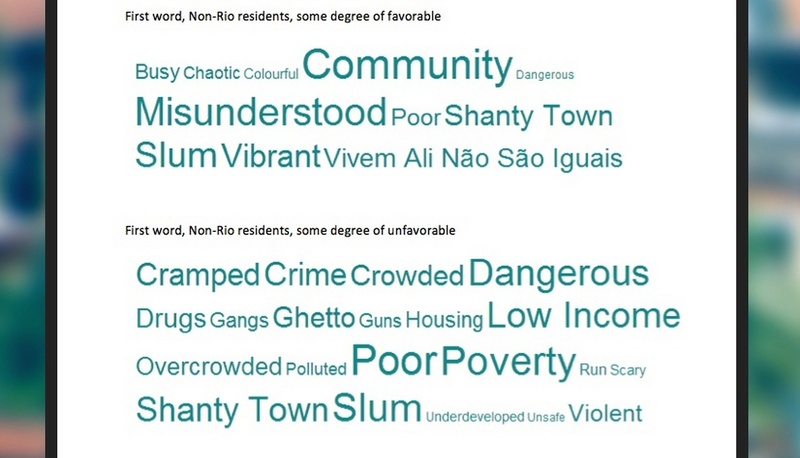 And we were able to measure these changes in our Favelas in the Media analysis, which looked at how the global media narrative on favelas changed in those years. We found, for example, a huge jump in the percentage of articles featuring favela voices in their reporting on favelas. And a shift from reporting on violence by traffickers, to the police violence which actually imposes a greater risk to residents. There’s still a lot of work to do, but huge inroads were made, at least in prying open the one-sided narrative and making room for a much more nuanced, hopeful, vibrant and accurate view of favelas–based on residents’ own perspectives. 5. a) There is a ton of info on both your Facebook page and website. Social media has been lauded as an immense tool for sharing information, but also criticized for the ‘slactivism’ that characterizes inaction. How does your organization navigate this? How do you think we can use social media to direct effective change? Has the general conversations of favela’s changes post Olympics, how do you see this affecting the global view of the communities? 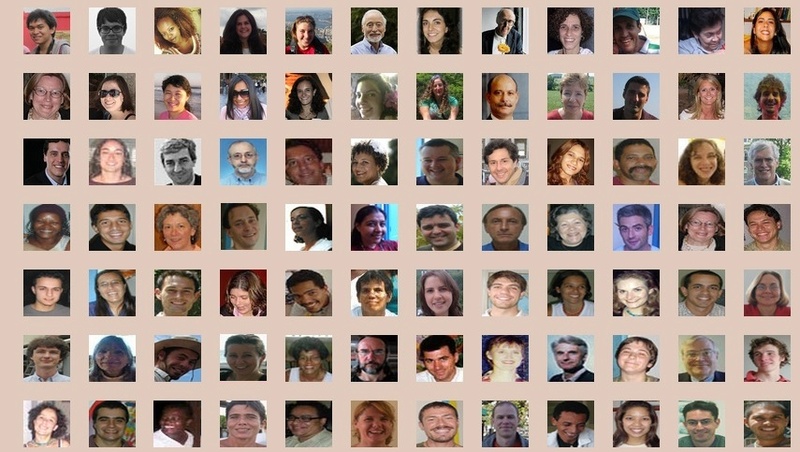 Organizers in Rio tend to use social media and face-to-face interactions heavily. ‘Slactivism’ is also an issue here, but perhaps not as much as in the US. I’m not sure how many people in Rio who are active only on social media, would be active otherwise were there no social media. My sense is that it’s just offered a powerful additional tool to those who are organizing, and has gotten some who otherwise wouldn’t be active to at least be active online. Particularly in Brazil’s heavily monopolized media climate, social media has been our life support system. The Internet allows our mostly-volunteer team to work without a centralized office, freeing us up to spend more time in communities and at events. On any given day our folks are all over the city, in different communities, attending events, conducting interviews, organizing. Our organization works constantly online and off. So we are intensely active on social media, especially through the RioOnWatch Facebook page where we share any and all breaking news–in Portuguese and English–on changes happening in Rio and specifically with regard to the city’s favelas. 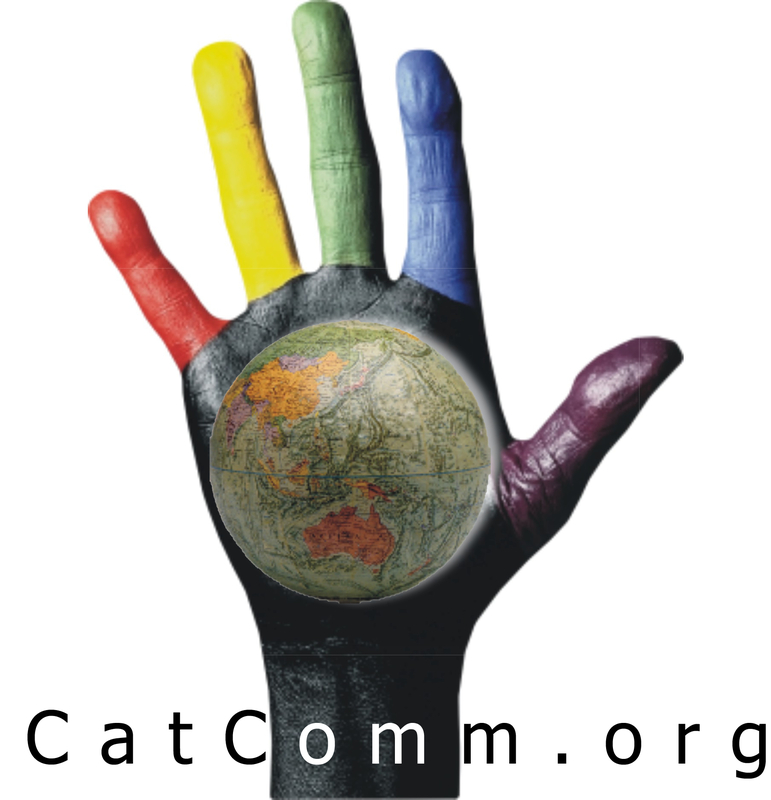 And on the CatComm Facebook page (in English or Portuguese) sharing news we’re directly involved in or information we think those who like our organization might enjoy. But we are also intensely active meeting with and talking to residents and organizers in favelas, and supporting activities on the ground. Right now we are mapping all the favela projects building sustainability and resiliency across Rio, and will shortly launch the Sustainable Favela Network with a week-long exchange and event. 5. b) Recently a Humans of New York post featuring a member of your organization went viral- has this been beneficial for CC and what changes have you seen? The Humans of New York post was incredible. We’ve worked with a lot of media in these past years, and I myself have provided interviews, even on The Today Show, HBO, and Vox. But there is nothing quite like having your entire audience right there giving direct feedback. The HONY community is incredibly sensitive and wonderful, and the response was something I never expected. And it was overwhelmingly favorable. Apparently a lot of people agree this narrative needs to change! 6. Can you tell us a little about RioOnWatch? RioOnWatch is our hyperlocal-to-global favela news site in both English and Portuguese. It is broader than a resource for journalists. It’s a resource for anyone interested in Rio’s favelas, urban planning, community organizing, international development, Brazil, or even the role of media and ways to rethink the world going forward. The site works to strategically launch and strengthen certain themes and debates that we at Catalytic Communities (again, a broad network of favela organizers and their Brazilian and international collaborators) view as essential to moving towards our goal of asset-based favela development. That said, RioOnWatch is also a resource for journalists. And we also have a page on RioOnWatch that explicitly pulled together resources for journalists covering the Olympics. This page, along with our Twitter newswire at the time, @RioONWire, was set up to make reporting by ‘parachute journalists’ easy. These are journalists who just show up for the event, without a lot of context, and have a short deadline to turn around reports, so they tend to do the poorest and most counter-productive reporting on favelas. To make sure even those journalists had no excuse to perform lazy reporting, we created the Resources for Journalists page including recommendations about how to write about favelas, context on Rio and policies, contacts in favelas with story ideas (mapped and listed), and examples of Best and Worst Reporting on favelas. We found a lot of journalists would reach out to us after reading these articles, saying they didn’t want to repeat those mistakes. 7. Are there any particular recent directives or programs you would like to tell us about? Our focus now is on RioOnWatch post-Olympics. The site was originally created as a dated news platform, to cover changes in favelas in the lead-up to the 2016 Rio Olympics. We were going to archive it after that. But the demand was so great to keep it going that we decided simply to adapt it into what we were planning to do next: a news site focused on solutions from Rio’s favelas. So as of early this year we changed the editorial line, and have been shifting the content since. Whereas before maybe 70% of articles were on human rights violations, Olympics legacy monitoring, and policies broadly speaking, and 30% were on favela opinions, community organizing efforts, sustainable favela projects, cultural programs, events, etc., this number will now flip. So 70% will be focused on favela opinions, organizing strategies, sustainable solutions, etc. We will shortly be adjusting the homepage too, to visually demonstrate the shift. 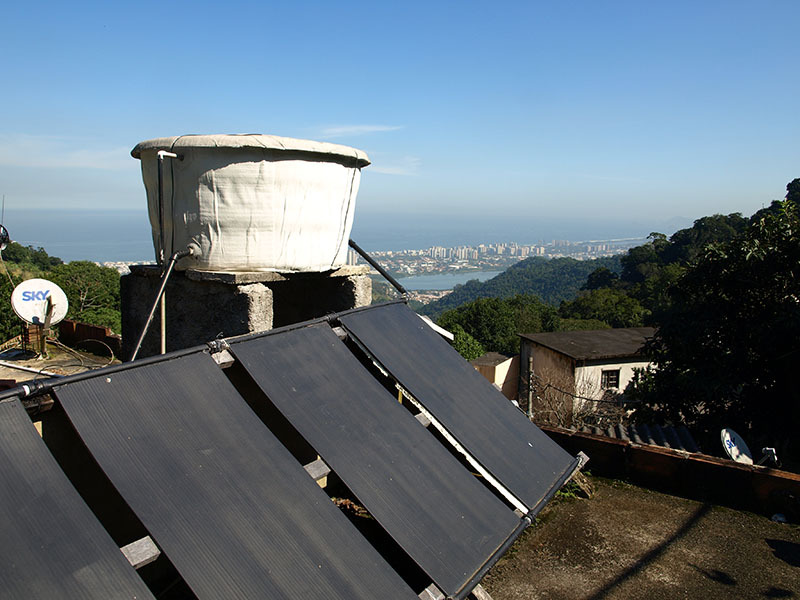 And in addition to RioOnWatch we are launching the Favela Sustainability Network project. This is a huge opportunity. 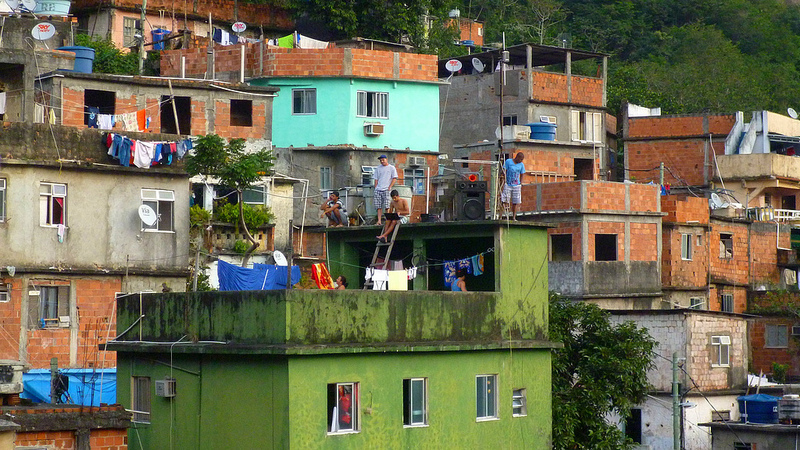 We’ve actually been able to document dozens of aspects in which favelas are designed or operate in ways that urban planners are trying to build into cities around the world to make them more sustainable. They are pedestrian-oriented, solidarity-inducing, mixed use (shops below residences), with adaptive architecture and high use of public transit and nearby jobs. That is, favelas have a bunch of sustainability elements and we are working to not only document them but help catalyze more and more of them, based on what communities are already doing themselves. Finally, and this is very exciting–we want to create a RioOnWatch Replication Manual. A kit, ideally multi-media, that organizers and organizations around the world can use to develop their own communications strategies that support their work on the ground, through strategic story-telling, narrative-shifting and debate-setting. It can be used by community organizations, traditionally isolated causes or groups, social movements, groups monitoring public policy and investment, and so on. But for this we’re still looking for the right partner or sponsor. 8. What do you think are the most integral aspects of the favela model that are creating sustainable communities?